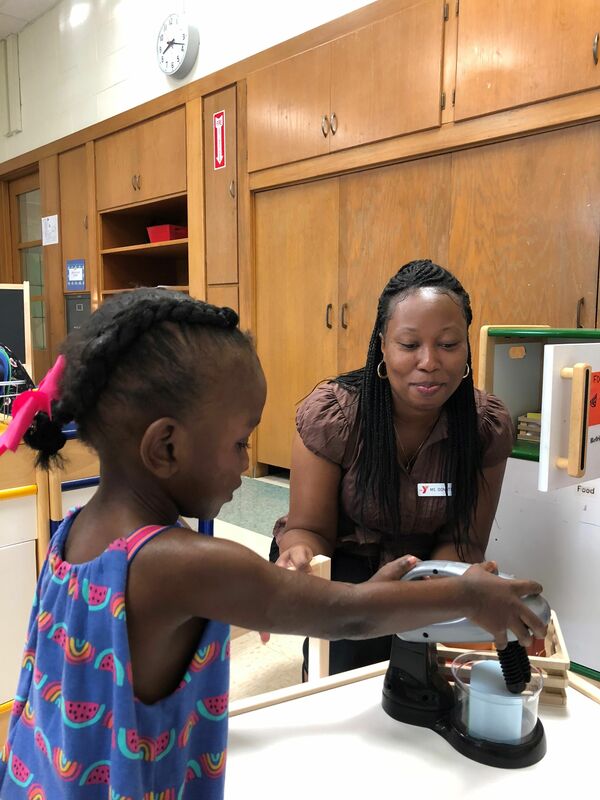 A new daycare program is open at the former Chapelle Community School, an elementary school within the Ypsilanti Community Schools District at 111 South Wallace Boulevard, Ypsilanti, MI 48197. Registration forms may be found here. For more information about touring the facility, please contact Program Director Queayna Battle at qbattle@annarborymca.org or 734.661.8058. The Collaborative – Ypsilanti YMCA Child Development Center (CDC) addresses a critical need for excellent quality, affordable daycare in eastern Washtenaw County. While Ann Arbor has 22 NAEYC-licensed child care facilities (a recognition of excellence), Ypsilanti currently has only two; this will be the third. The CDC will primarily serve the children of Eastern Michigan University students, children of residents of the Ypsilanti Housing Commission and children who live within the Ypsilanti Community Schools district, all of whom will be given access to priority registration. There are three large, bright classrooms, a spacious playground, access to a gym and space to grow future programs for the whole family. Which organizations make up The Collaborative: Ypsilanti YMCA Child Development Center (CDC)? The CDC is licensed and operated by the Ann Arbor YMCA. Eastern Michigan University (EMU), Ypsilanti Community Schools (YCS) and Ypsilanti Housing Commission (YHC) have all worked in partnership with the Y to bring this program to fruition. Where is the CDC located? The CDC is located within the former Chapelle Elementary School. Chapelle is located at 111 South Wallace Boulevard in Ypsilanti, under a mile from EMU. Who is eligible to attend? Spaces will be held for children (aged 18 months to 5 years) of EMU students, families living in YHC communities and families in the Ypsilanti Community School District. What are the CDC’s hours of operation?Hours of operation are 6:30 AM to 6:30 PM Monday through Friday. How often will I be billed? Billing is done bi-monthly and must be paid in advance of services being provided. Can the CDC accept payments from subsidizing agencies? Yes. Please speak with the Director to arrange the paperwork. 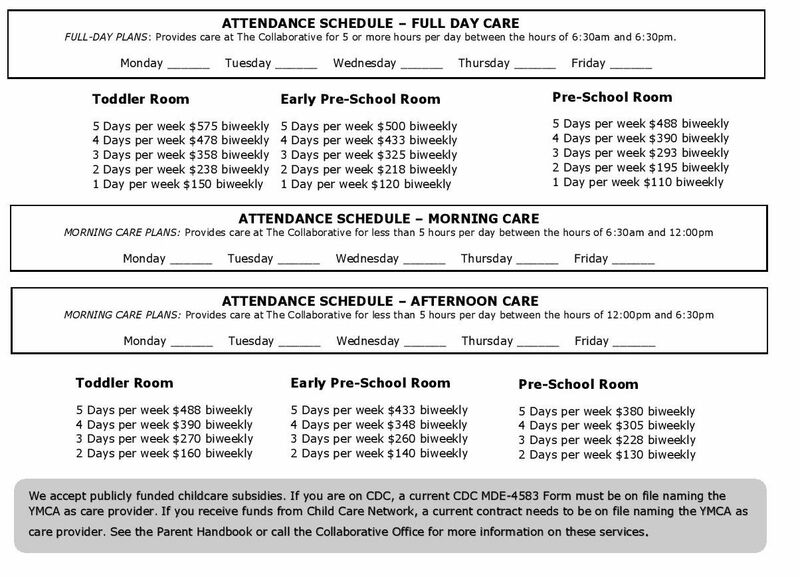 Do I have to pay for child care on days my child does not attend? Once we have a set schedule for your child, you will be billed for those days, regardless of your child’s actual attendance. How do I apply for Financial Assistance? Financial Assistance approval is based on a sliding fee scale based on income and number of people in the household, designed to fit individual situations and can cover up to 80% of the cost. Available funding is based on personal need, enrollment and the Y’s financial resources. Is there a registration fee to secure my spot? A registration fee per child of $10 is due upon enrollment each semester (Fall, Spring, Summer) and is non-refundable. Do I have to re-register each semester to keep my child’s place? Yes. The YMCA Director will notify you when it is time to re-register for the following semester. This process ensures that the Y can meet your needs in case as they change each semester. If I do not need care during the summer semester, can I still have a space held for the upcoming fall semester? Yes. You must pay the $10 registration fee to hold the spot for the fall. Does the program offer part-time schedules? YES! We offer daily and weekly schedules to meet your family’s needs and tuition is adjusted accordingly. We do require children to attend at least 2 half-days/week. (For student-parents) Can my child attend even if I do not have classes that day? Yes, a child can attend on days you do not have scheduled classes. Is the CDC open during EMU breaks? Yes. * During the week of Independence Day (July 4)* and the two weeks of Christmas and New Year’s, we require a minimum of eight children each day to remain open. Do you offer drop-in care? We do not offer drop-in care. 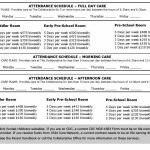 However, for enrolled children, days in addition to their regular schedule may be added, based on availability. How much notice would I need to give before withdrawing my child? We require a two-week notice before withdrawing your child. Do you have an open-door policy for parents/guardians? Yes. Parents/guardians are welcome to visit and pick up their child/ren at any point during the day. However, we do ask that you notify the staff to minimize disruption to our daily schedule. mid-morning snack, lunch and mid-afternoon snack if they are present during the meal/snack time. What happens if my child becomes ill while in school? If your child becomes ill with any of the following – fever, diarrhea, vomiting, rash, and/or severe coughing – parents/guardians will be contacted and must pick up their child within one hour. What credentials do your teachers have? All of our teachers meet at least the minimum requirements mandated by the state of Michigan. What will Y staff do if my child acts inappropriately? We use positive guidance techniques that help to promote self-discipline and acceptable behavior.